The other weekend at our Portland Elite Event we were happy to see one of the Northwest’s Top Tight End/ D Ends stop by for a visit. Bryson Sullivan (6-4 250 Jr. TE/DE) from Aloha was injured after the season which required knee surgery. His progress has been better then expected and he will be ready to go for the start of the 2012 season. Sullivan earned all league honors on both sides of the ball as a sophomore during their state championship run, and also again his junior year in limited time. He plays with the state’s top O lineman in Brayden Kearsley (6-5 300 Jr. OL), and the Nationally ranked 5 Star recruit Thomas Tyner (6-1 210 Jr. RB). Sullivan is put in difficult situation due to Aloha’s typical game plan, which revolves around a consistent ground game. He may be the best blocking tight end in the state, but at the same time he has the best hands we have seen among tight ends in the Pacific Northwest. Bryson missed half of the season, before coming back in a big way and then hurting himself again after the season’s end. There have been some tough breaks, but Sullivan is a super smart kid that knows he can play a high level of football. The problem remains that Sullivan could be lost in an offense that has maybe the top back in the country. Sullivan could legitmately be the top Defensive End in the state, but he likes to catch the ball and he does it well. There will be a lack of relevant game film on Bryson and he will miss most of the camp and combine season while rehabbing. That said we have seen the kid play and he is the real deal. 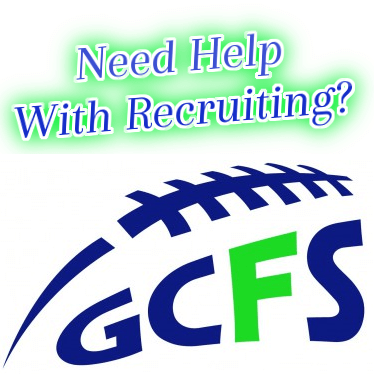 You won’t find a 6-4 kid that could play QB/TE/T/WR and be an all league kid at each one. His football smarts compliment his academic prowess (3.8 GPA) and some University will get a quality football player once he is healthy. Here is a video of one of the region’s top athletes; we will continue to bring you live video updates from our events as the season progresses.